The paper you are holding today is extra special. Special in the sense that, if you purchased it from a Hamtramck Goodfellows standing on a street corner Friday, that money goes directly to thousands of needy folks living here. Every year the Goodfellows hold a newspaper drive to raise money, which is then used to purchase food coupons. The coupons go into the hands of low-income families and individuals. Those coupons are then redeemed at A & C Market, where they can purchase a nice holiday meal to prepare at home. Some years, the Goodfellows have to dip into their savings to make sure everyone gets a food certificate. It’s no secret that the past few years have been a struggle to come up with the approximate $7,000 needed to fund the food drive each holiday season. Given the economic free-fall the Detroit area has been experiencing, this year won’t be easy either. 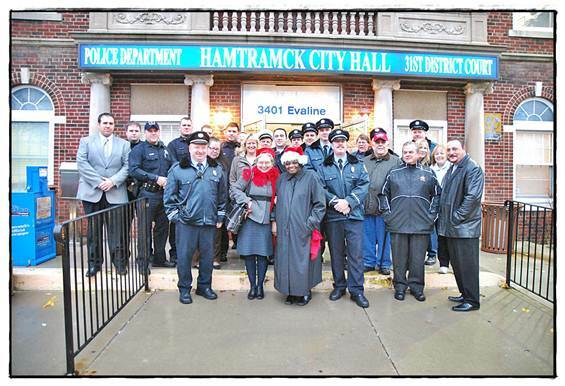 Despite the economic hardship, Hamtramck can always count on its residents to help each other out. We did it in the Great Depression of the 1930s, and we can do it now in what’s being called the Great Recession. We are survivors. We care about our neighbors. We give. We help. We donate. 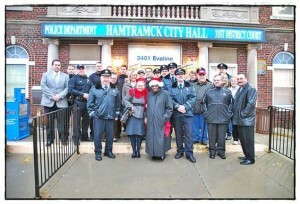 No questions asked, Hamtramck is there for you. The best buddy you can have. If you didn’t buy this paper from a Goodfellows this week, you can still contribute to their effort. It’s as easy as making out a check or visiting the Treasurer’s Office in City Hall. Want to help out, need more information, or want to apply for a food coupon? If so, give the group’s Chairman, Mike Wilk, a call at (313) 365-9600 or Co-Chair Chris Cornwell at (313) 330-9700. Applications for a food coupon are available at the fire station and Treasury Office in City Hall.